Motto: ""I'd be the President of the procrastinator's club if I ever got around to submitting my application."" This post from Emerje got lost in the shuffle. But I wanted to point out some potential bad news. I looked at the pricing of Repugnus ($9.99 from the link) and Blast-off ($29.99 from the link). This would seem to suggest that Repugnus is still his Titan Master version and not a deluxe remold. So, then I would have to ask why this is an exclusive to May Mayhem...? william-james88 wrote: Also be weary of hope in this hobby. Hope is just undiscovered disappointment. My nephew wrote: Bacon is meat candy. That's wholesale pricing, not the retail price. Blast Off was also listed as $9.99 at one point as well, but they changed it when they tripled the quantity (from 6 to 18). Also, Titan Masters have/had an MSRP of 4.99 USD. 9.99 USD is the price of a Legends sized figure. Is the MSRP of Deluxe $29.99? Agamemnon wrote: Is the MSRP of Deluxe $29.99? it's $19.99 for Generations deluxe, though most retailers have them for between $16-17. It's been seemingly going up a "dollar per year" (in my mind at least) T30 deluxes were seemingly $14.99, and that was 5 years ago. Right, but I think the argument against this being a listing for TM Repugnus instead of a Deluxe remold was that the price of $9.99 wasn't right for TMs, and was appropriate for Legends. Yet, the Deluxe Blast-Off is listed as MSRP $29.99, which seems very high. Blast Off's price should be on par with Arcee and Grotusque, since he comes with a bonus Prime Master, a clear redeco of Megatronus. No confirmed Decoy Suit/Pretender Shell tho. Again, it's WHOLESALE PRICING, not RETAIL PRICING. It's $9.99 per figure in a set of 6 for Repugnus and 29.99 for 3 figures in a set of 18 for Blast Off (I have no idea why they set it up this way, originally both were priced the same way). Why is this so hard to understand, I thought I was being clear about this in my last post? These are the prices that a retailer would pay (before expensive bulk shipping) and then mark up for profit, probably $20 (MSRP on PotP is $16.99) since they'll be carded rather than in elaborate packaging (we've already seen Blast Off's backer card), and the included Prime Masters aren't die cast. 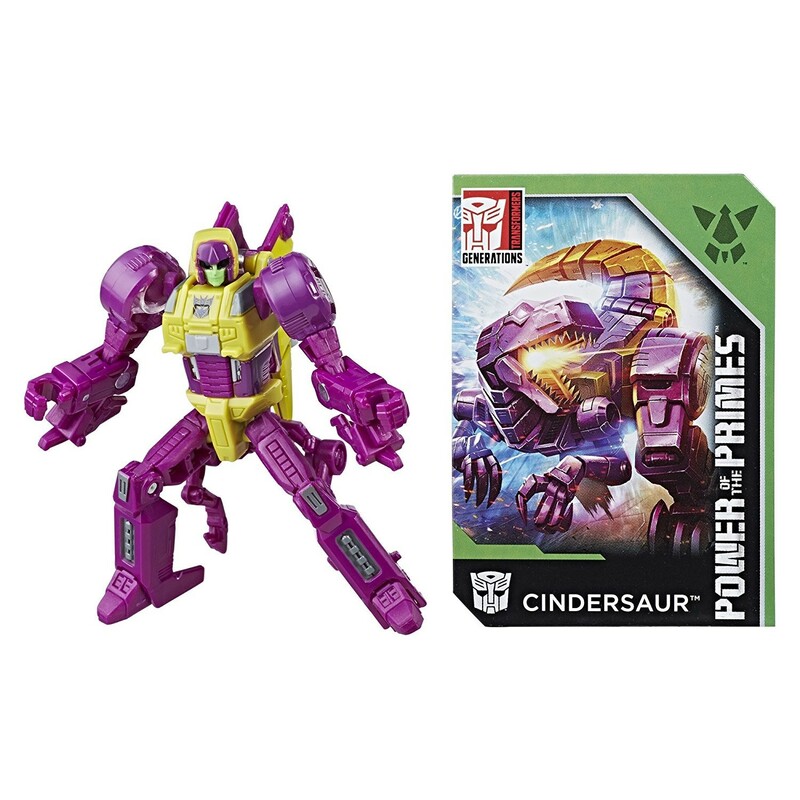 Transformers Power of the Primes Autobot Outback and Cindersaur Listed Online! 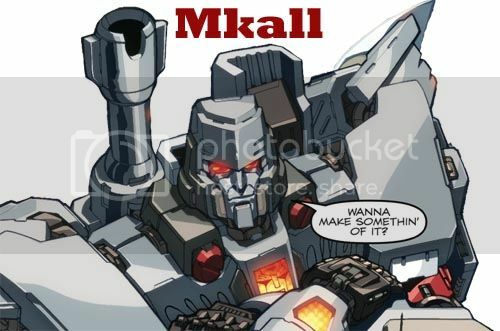 Fans of Power of the Primes will be happy to know that two new legends class figures have been listed online. A quick thanks to westjames/notirish for letting us know. 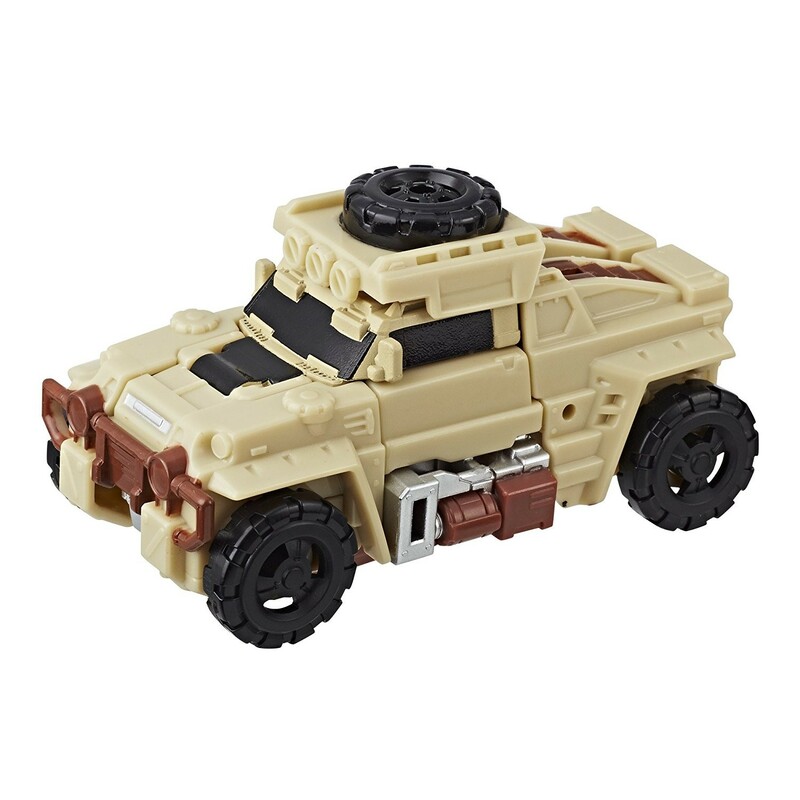 Autobot Outback and Cindersaur now have their own pages on Amazon. While they are not yet available for purchase we hope that they will be soon. It is nice to see the colors and details used on these figures. Fans can appreciate the colorful and well formed headsculpts too. While you are waiting we have some images of them below to check out. If you have not already seen it, Machinima's Power of the Primes episode 2 is up online now. 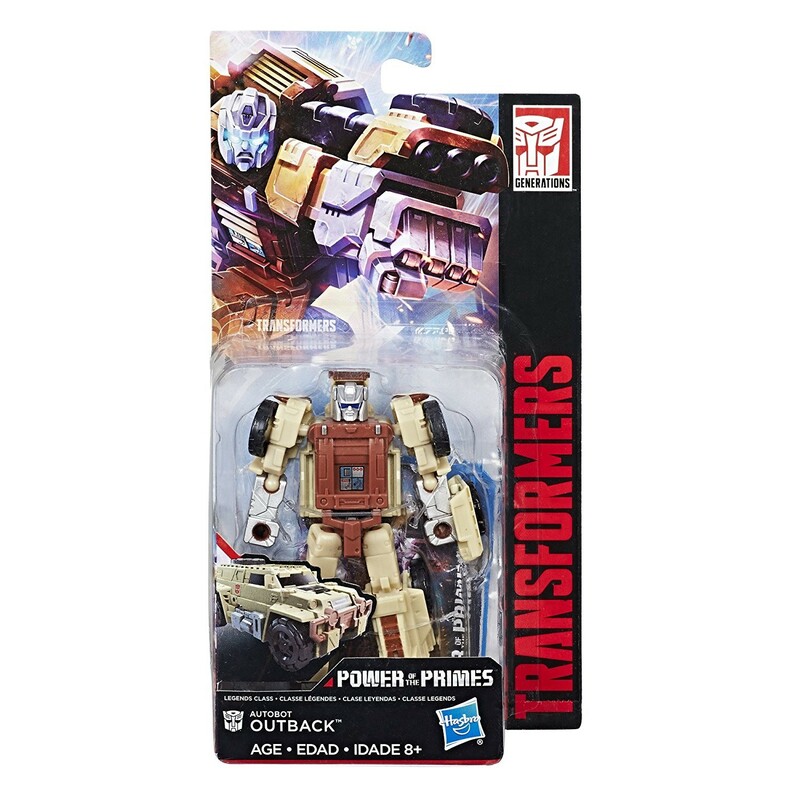 Outback looks as I'd expect him to, probably won't bother but he looks cool. 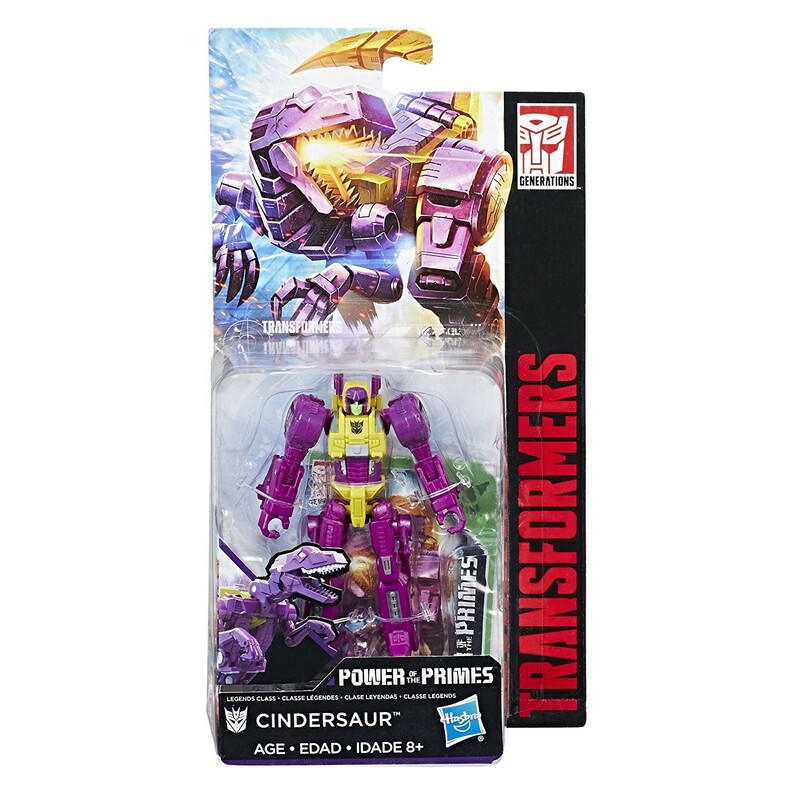 Cindersaur is either a girl or a very girly boy if I get him/her now. I kinda wish the dino mode was more like the old Firecon "Lump monster" style, but nothing a bit of Shapeways can't fix. ...Good grief I'm a Firecon GEEWUNer. Kill me. Black Hat wrote: Outback looks as I'd expect him to, probably won't bother but he looks cool. You're just saying that because he's Australian ... I'm onto you! Nah, he's a neat toy (I assume, I never did get Brawn) but I have zero attachment to him. Also in my demented headcanon/collection "backstory", Skullcruncher is the local s**tposting Aussie. Though saying that, more 'Strayans bringing the banter can never be a bad thing. Brawn is a fantastic figure, you should get both. 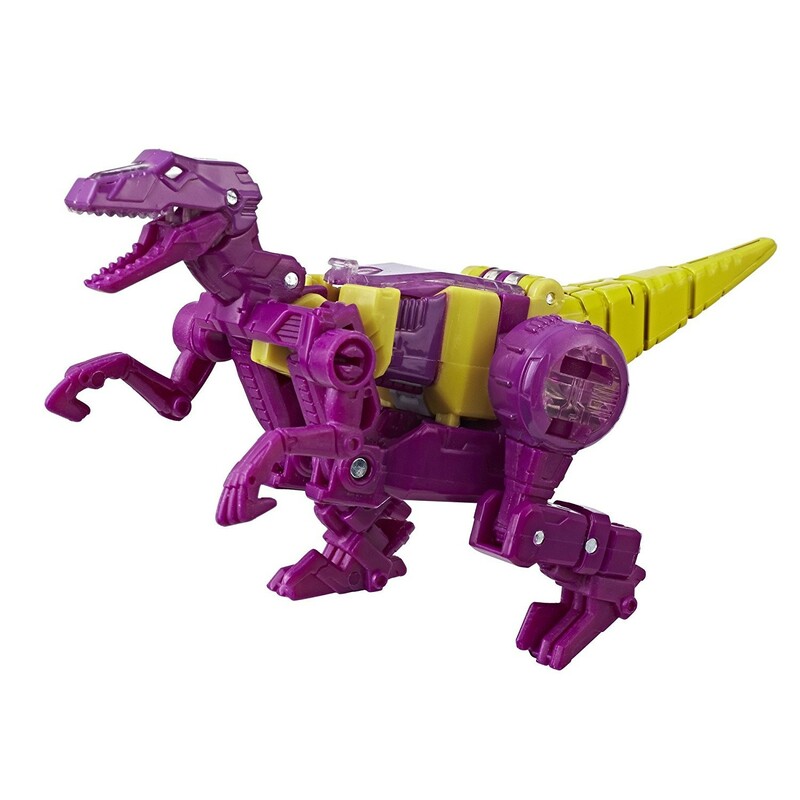 As for Skullcruncher ... Skullsmasher ... whatever he's called this week, I always took him to be an Alligator. It's hard to tell from his nose as it's a bit of a blend between Croc and Gator. Cindersaur is meh, but there's no others out there yet. I'm hoping Sparkstalker and Flamefeather will be done at some point. Outback should have had the gun, but i will still get him. Cindersaur can stay on the pegs, don't care for the mold, it is horrid. I'll most likely pass on this wave of Legends, but then again, I have not seen re-ups of Moonracer or even Submarauder! 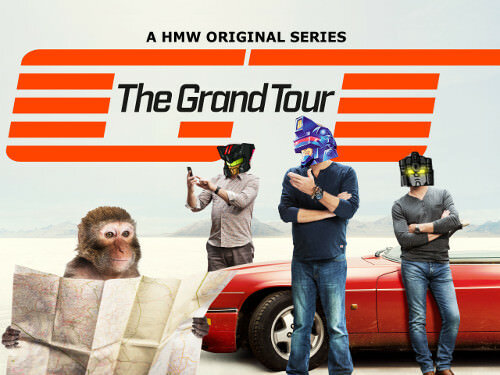 The stores seem to be focused on the Studio Series at the moment. 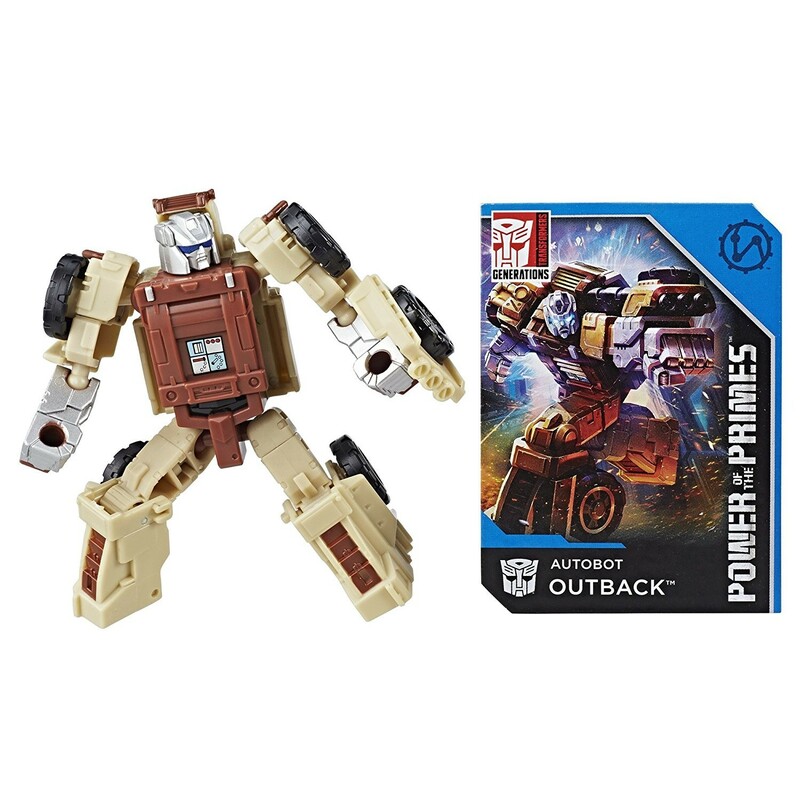 Outback looks boring and Cindersaur looks terrible. Yeah I have a slight fondness for those crappy old Firecons cos at least their beast modes looked kinda fun even if the robot modes were junk. Also the spark feature used to make my mum worried I'd set something on fire. Which was an added bonus. Moonracer is about to joust someone! WreckerJack wrote: Moonracer is about to joust someone! LOL yeah she is! Roddy's sniper rifle doubles as a lance. 4,615 pages were recently viewed by 624 unique visitors. This page was viewed 1 times on Tuesday, April 23rd 2019 8:53am CDT. © 2019 Seibertron, Inc. DBA Seibertron.com. All Rights Reserved. Established June 2000. Seibertron.com is owned by Ryan Yzquierdo.